I am preparing to face facts and have my front fangs pulled out of my mouth in several hours. My talk’n teeth have reached the end of the line, and toothlessness followed by partial dentures is in my immediate future. 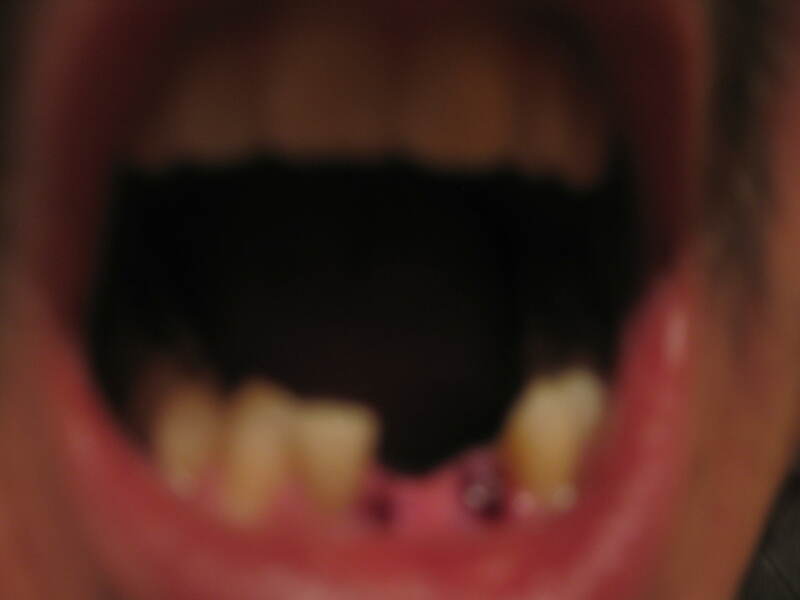 Early in June, my bridge dislodged from the lower front region of my mouth. An apple was the proximate cause, but decay and time was the real culprit. The original injury occurred roughly twenty-three years ago during a playground football game. A teacher rang the handbell, signalling the end of recess, so I stopped. The other players did not, and I ended up with a broken tooth, which led to multiple infections, root canals, an oral surgery, and all of the financial distress that accompanies dental work in the lower middle class. Julia, who turned two recently, has been fascinated with my fangs. 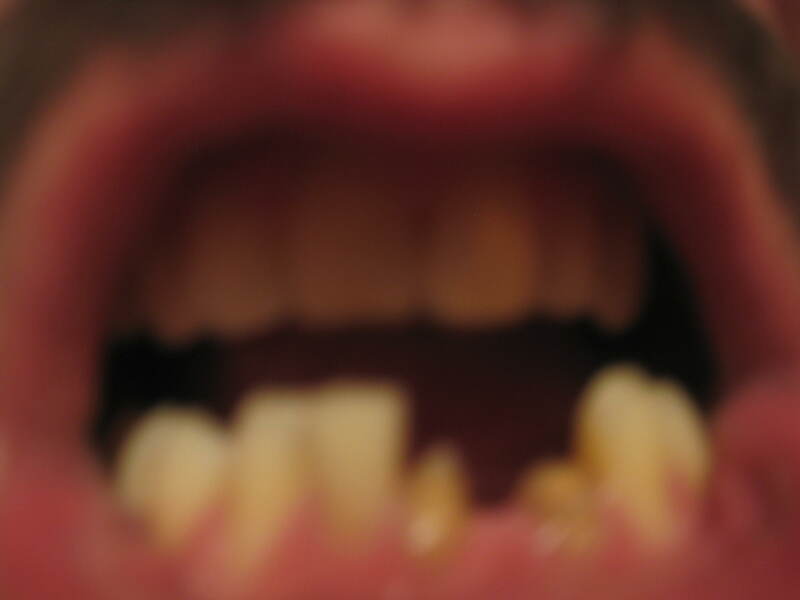 I would occasionally place the broken bridge on top of the twisted remnants of my teeth when I felt self-conscious or to perform in public as a juggler or wedding officiant. I called them my “talking teeth”, which the Juje translated as “talk’n teeth”. “Did you have your talk’n teeth, Daddy? Your talk’n teeth are broken,” she would recite while sticking her little fingers rudely into my mouth. I told her a moment ago that my talk’n teeth were going to be pulled out, and that it made Daddy a little bit sad. She is partly right. I am a little bit sad, and a little bit sick. There is something profoundly human and mortal about losing a piece of your body, even an artificial one like my bridge, even an imperfect one like my fangs. 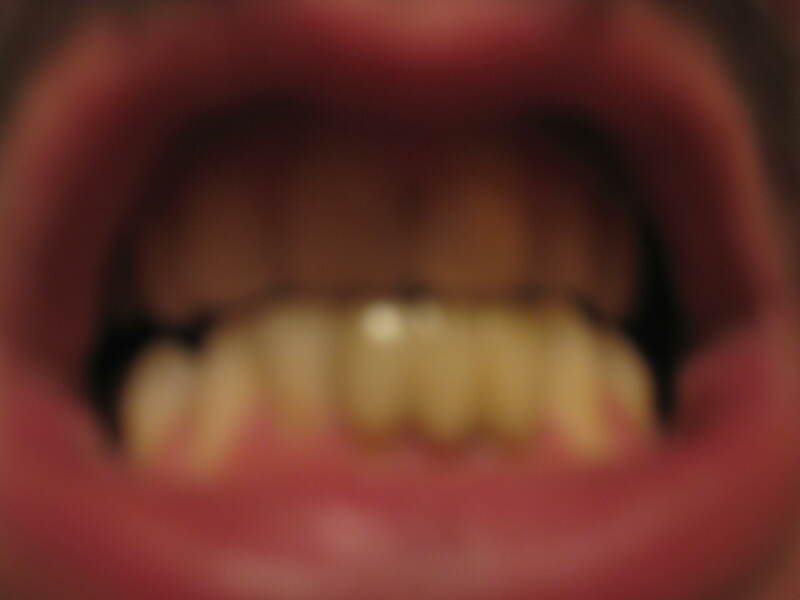 My talk’n teeth were a part of my life for so long, went all of the places and said all of the things, and now they will be yanked from my jaw and exposed as the lifeless bits of enamel and pulp they are without the rest of me.